Thanks to Beyoncé's song "Flawless," a feminist trojan horse of sorts, Nigerian author Chimamanda Ngozi Adichie is getting tons of attention right now. 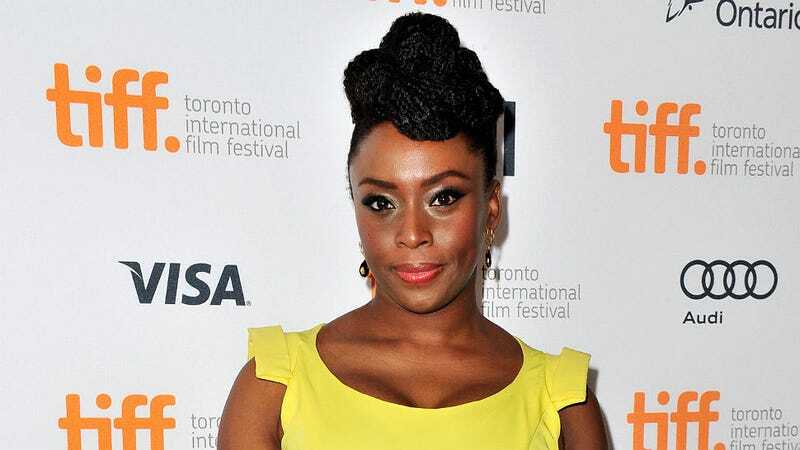 In addition to penning novels like Americanah and Half of a Yellow Sun (the latter has been made into an upcoming film), she's amazing speaker who is vocal about gender equality. But even while talking politics and literature, Adichie’s just like us: She loves shoes and clothes; and when her work isn’t going so well, she retreats to her bed to eat chocolate. I can respect that. When you’re working on a novel, what does a typical day look like for you? Beyoncé sampled part of your TED Talk, “Everyone Should Be A Feminist,” in her recent song “***Flawless” (watch it below). In the talk, you said that the first time someone called you a feminist, you didn’t know what it meant. So what does it mean to you now? What about cooking? It feels like such a big part of 'Americanah'—do you like to cook or was that researched, too?